Most photographers run their business solo. Chances are it’s their dream job, but they never stop working. They most likely lay awake at night with inspiration popping into their head and spend every dollar they have reinvesting into their baby (I mean, business). They work hard and love bringing their passions to life. They’re proud of what they do and would never want to live any other way. But being an entrepreneur also often means we need a little help. A pick-me-up. A helpful hand that shows us someone cares about what we do and they want to see us thrive doing it. These gifts do just that. As a photographer myself, it makes me so happy when I see others investing in my business and giving me gifts that reignite the fire I have for my art. Here’s a list of great Christmas gifts to give a photographer in your life—whether they’re a seasoned pro or someone just starting out. We have office jobs too! Almost any kind of office supplies are needed here, and it’s much appreciated. Magnetic walls, cork boards, sticky notes, storage, headphones, business card holders, you name it! This is every photographer’s dream toy! It’s one of those things everyone wants, but few have. It improves and speeds up photo editing, so your photographer will actually be able to put their feet up on the couch at night instead of spending hours and hours at their desk editing photos. Major lifestyle improvement right here with just a simple tech upgrade! I guarantee they’ll be peeing their pants when they unwrap this Christmas morning. They’ll be so grateful, and you’ll be that awesome person who knew to get them this incredible secret gadget. Someone gifted me a camera lens mug for Christmas once, and I became OBSESSED with it. They’re hilarious and really look like the real thing! 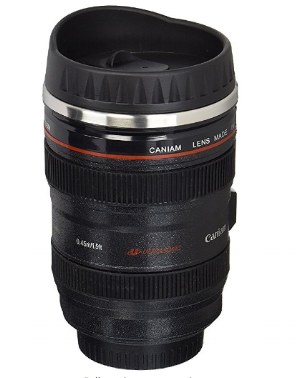 People are always so confused when they see me sipping coffee out of my lens mug because they think I’m just weirdly holding a lens all the time! It’s quite a conversation starter and can even win them another client from it (once they find out they’re a real photographer)! Hopefully they won’t accidentally switch their real lens for their mug when they go out to shoot! 😂 Whoops! These things are awesome! They’re tripods that can twist, turn, hang, and grab to stabilize a camera almost anywhere. 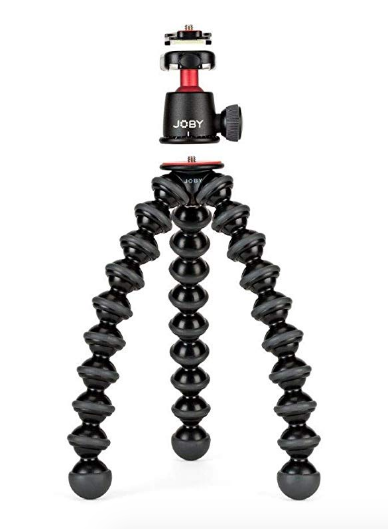 They can be super useful when we don’t want to carry around a heavy full-sized tripod. They even fit in our bags perfectly. 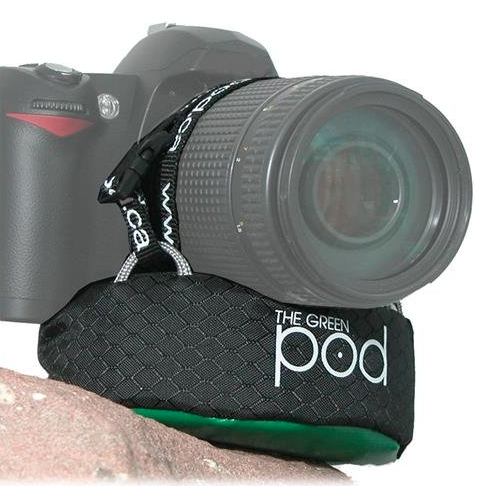 Make sure to get one of the heavy duty gorillapods (something that can hold at least 6 lbs) because we shoot with heavy cameras. The left one is great because it doesn’t blatantly point out that they’re a photographer, but it still has a great joke that will make them laugh! The shirt on the right is just fabulous in every way and no one can deny it (don’t be a hater). 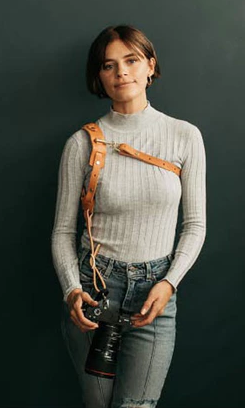 If your photographer doesn’t already shoot with a harness, do their back and neck a huge favor by getting them a camera harness. These things are great and range from a cheap price to luxury. Of course, you get what you pay for, but you can’t put a price on permanent back and neck injury from having a heavy camera hanging on your neck for years and years. Rose Anvil + India Earl Camera Harness are the top of the line harnesses. They don’t pinch, the cameras won’t swing and hit something, and the back and neck support makes it the best harness on the market. Prices and features range: $120-295. 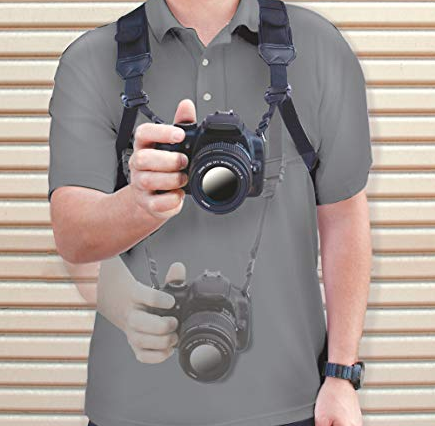 SpiderPro harnesses are waist belts that can hold up to two cameras and accessories. Cameras snap in and out of them, which is so helpful and quick! Prices and features range: $150-265. We have a million memory cards on us. I keep mine in a plastic bag so I don’t lose them, but upgrade your photog by getting them real organization. Are they a newborn photographer? Family photographer? Wedding or street photographer? Chances are, if they’re taking pictures of people, they like to have a props stock on hand. With new trends popping up all the time, it’s always awesome for photographers to be acquiring more items they can include in photos! Whether that be wood signs, newborn wraps, picnic blankets, baskets, Christmas decorations, twinkle lights, vintage suitcases, or boxes, get creative with your prop picking-out! As a short person myself, I find that I need to bring a step stool with me to shoots and weddings so I can get that perfect angle! 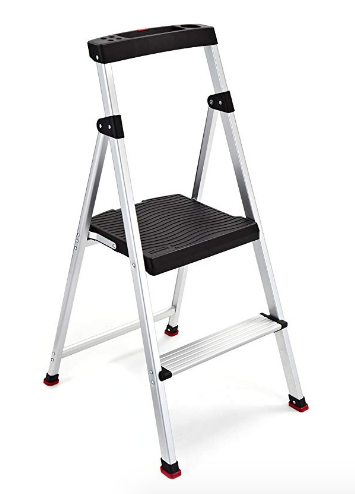 Because I’m always carrying a lot of things, I love my step stool because it’s super lightweight and durable. I recommend one like that if they don’t already have one! You never know when it might come in handy. Sometimes we don’t like to lug around a heavy tripod, and sometimes we forget that we need one at all until it’s too late! This pillow thing goes on the bottom of our cameras so we can stabilize it on any surface! Great for traveling, selfies, video, night, landscape, and long exposures. We shoot in the sunshine, the rain, the lava (it’s true, look it up), snow, hail, wind, you name it. Nothing stops us from getting the shot. However, even though we are weather-proof, our cameras are not entirely. This rain sleeve keeps us doing what we love in (almost) any weather. Sometimes photographers use their phones, too, okay?! 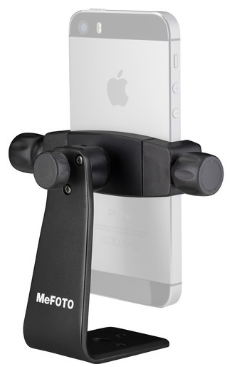 This’ll make it a lot more fun and easier to get bomb iPhone pictures! 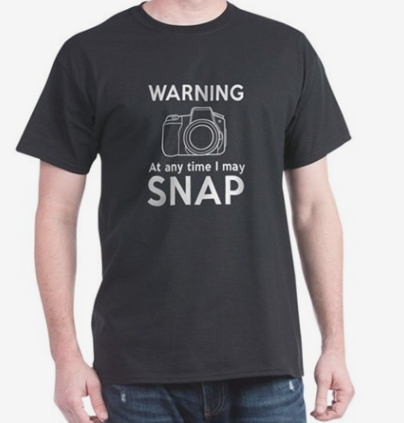 This one is especially great for wedding and other people photographers. 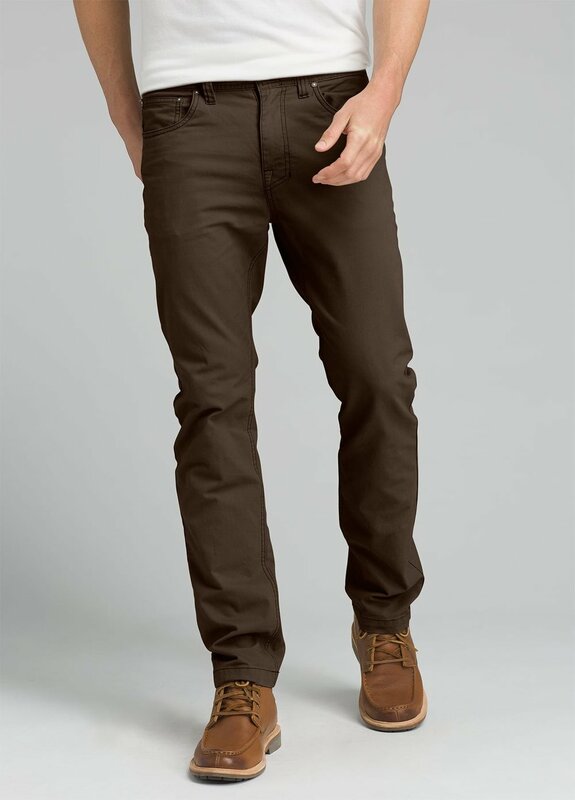 When we’re out on a shoot or at a wedding, we need to look good. Gotta look professional, but still casual enough to relate to our clients. It’s hard to find good outfits though that fit all these requirements: has deep pockets (because we need a place to put phones, lens caps, and other camera goodies), is comfy and mobile (we could be moving in it all day, bending down, jumping, etc), and won’t get us sweaty when we’re running around chasing kids or under a hot sun all day. For wedding photographers, often we like to wear black or dark navy and brown so we blend in a bit more and don’t distract others during the ceremony etc. Gotta be a little incognito! These are a few pieces we would love! Aurora linen jumpsuit by Love and Confuse. I love wearing jumpsuits because they are still classy and modest, yet cute. This one has pockets (thank God) and is linen, which means it’s lightweight and we won’t sweat! Cotton or linen overalls are also great! 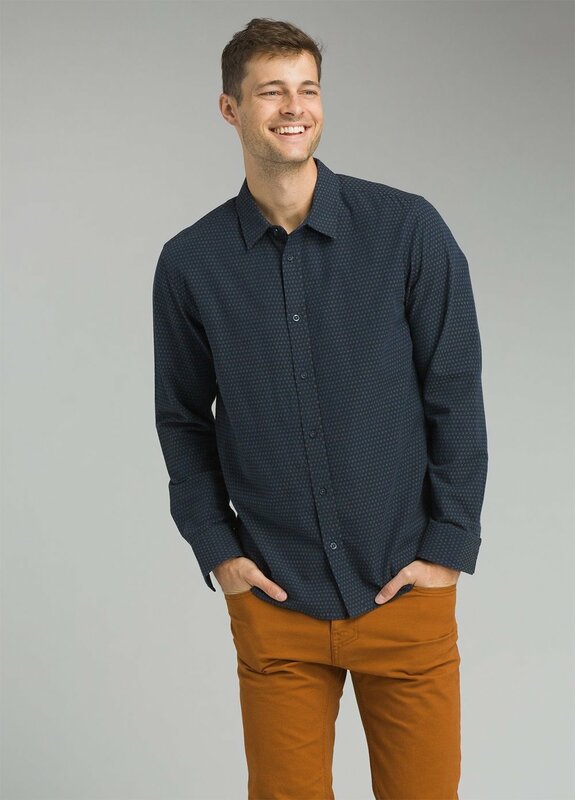 Prana men’s breathable fair trade button down shirts. Convenient front pocket for lens caps. Prana has a huge selection (and they’re good for the environment). Umm, so fun!!! What a way to stand out while also providing a function! Best of both worlds! You just need to know what kind of camera they have. Just ask; they won’t notice anything suspicious. Like what you see? Anything else I missed that could be added to this list?